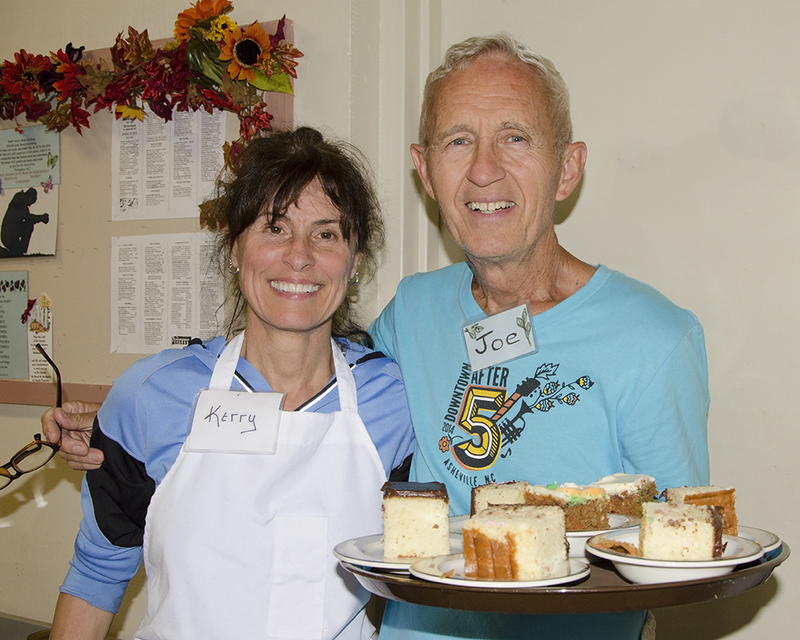 The smiling faces of Kerry and Joe are among those of our many faithful and hard-working Companions in the dining room. They were getting lots of attention here as they served dessert, always a favorite part of our delicious Welcome Table meals. Thanks to all who contribute to the amazing choreography that takes place weekly during mealtimes at HSC! Come eat with us and see for yourself; lunch is served from 10:30 a.m. – 12:30 p.m., and ALL are welcome!